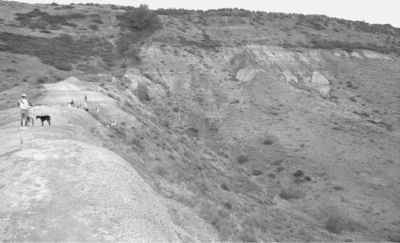 American paleobotany had grown from European roots and its practitioners followed the nomenclatural lead of Heer, Saporta, von Ettinghausen, and Brongniart. As a result, the basionyms of many of the species described by Lesquereux, Knowlton, Berry, Newberry, and Ward were from Europe or the Arctic. In North America, the naming and sorting of these taxa took place as these paleobotanists were caught up in the tangled web ofthe Laramie Problem. The result was a snarl of poor or missing type specimens, invalid binomials, poorly known locality data, and the assignment of incorrect botanical affinities. 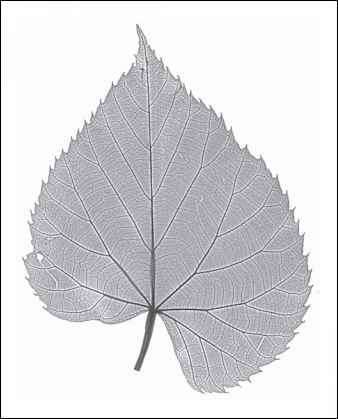 Figure 4.2 An example of a cleared leaf (Tilia chingiana Hu & Cheng). The specimen (NMNH 8269) has been bleached and stained to reveal details of venation critical for identification. leaves and failed to address leaf architecture in a systematic manner. Brown collected extensively and came to recognize certain species in space and time, and Dorf compiled a massive compendium index of all published North America type specimens to help him unravel the contorted nomenclature of his predecessors. In the end, both men were defeated by the enormity of the problem. Brown's life work was published posthumously in 1962 through herculean efforts of Jack Wolfe, and Dorf ceased to engage in serious science after the publication of the Lance Flora in 1942. Wolfe became Brown's successor at the US Geological Survey in 1958 and began a survey of the leaf architecture of modern angiosperms shortly thereafter. Using a technique of clearing the pigment from the leaves and staining them with a dye that concentrated in the veins, Wolfe was able to build a glass herbarium of "cleared leaves'' (Figure 4.2) from vouchered herbarium sheets. This data base allowed him to study the higher-level details of angiosperm leaf venation and search for patterns with significance for understanding the genealogical relationships of angiosperms. As a Harvard undergraduate, Wolfe was familiar with the pioneering leaf physiognomy work of I.W. Bailey and E. W. Sinnott, who had shown that angiosperm leaves contain an embedded climate signal. Specifically, they had recognized a relationship between the nature of the leaf margin (whether toothed or smooth) and mean annual temperature. Subsequent work by Ralph Chaney and his students reinforced the idea that leaf size and the presence of a drip tip was an indication of rainfall. Wolfe's research followed both of these avenues: the systematics of leaves from their vein architecture and the climate indicated by leaf physiognomy. By 1969, Wolfe's work on Alaskan fossil floras was beginning to revolutionize the study of fossil angiosperms and make legitimate connections between extant angiosperm genera and fossil ones. Dorfs only student, Leo J. Hickey, was quick to realize the potential of angiosperm leaf architecture and he began to develop a uniform nomenclature for leaf architectural features (Hickey 1973, 1979). His PhD dissertation, a study of a Paleocene-Eocene megaflora transition in North Dakota (Hickey 1977) made use of both this terminology and the leaf architectural systematics being developed by Wolfe. In 1977 Hickey joined the Smithsonian Institution and began to build a second cleared leaf collection. At the same time, angiosperm systematics was undergoing a revolutionary synthesis. Both Arthur Cronquist at the New York Botanic Garden and Armen Tahktajan at the Komarov Botanical Institute in St. Petersburg, Russia, were working to synthesize the diversity of angiosperms. Cronquist's system (1981) and Tahktajan's (1980) shared many characteristics, and both provided a comprehensive framework for understanding the diversity of angiosperms. Hickey and Wolfe (1975) collaborated to make the first serious attempt to synthesize their knowledge of angiosperm leaf architecture with the Cronquist and Tahktajan systems. This opened the path for the rebirth of angiosperm leaf paleobotany and the potential to use the abundant fossil record to understand both the history of angiosperm evolution and the implications of that record for the interpretation of paleoclimate and extinction. Subsequent developments in molecular phylogeny and cladistics in the 1990s have largely rewritten our understanding of angiosperm systematics, altering and improving the Cronquist/Tahktajan framework. Both the Wolfe and Hickey cleared leaf collections, now totaling more than 30 000 specimens, provide a brilliant opportunity to integrate angiosperm leaf morphology with a modern assessment of angiosperm relations.